Fifteen thespians from San Francisco’s Jewish high school have taken their original play to the prestigious Edinburgh Fringe Festival. 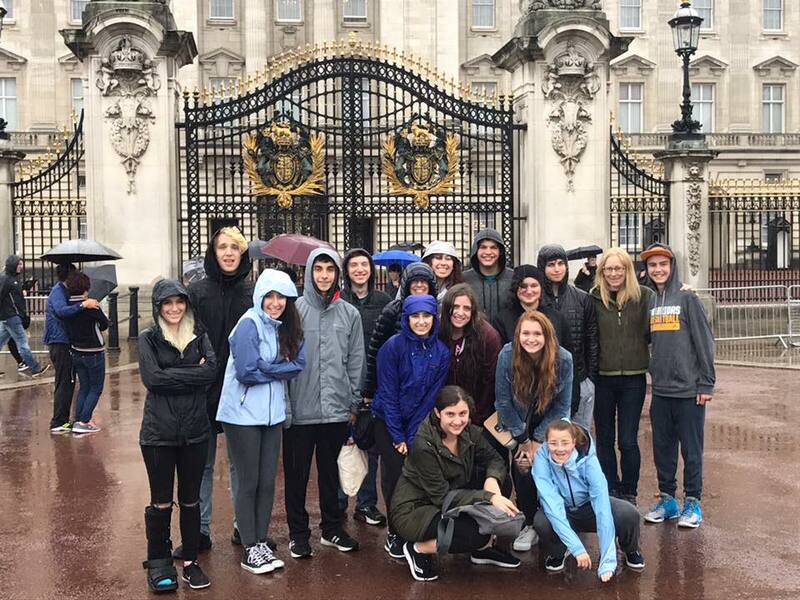 The students arrived in the United Kingdom this week and will be performing the show, “Alice and the Black Hole Blues,” at the world’s largest arts festival four times next week during a trip that also will include a visit to London and a Shabbat dinner with the Edinburgh Hebrew Congregation. 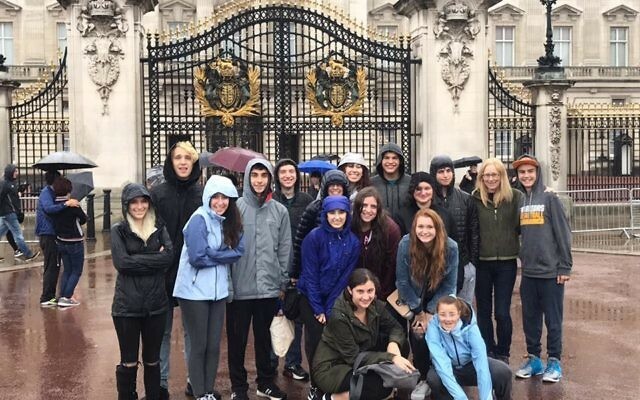 The Jewish Community High School of the Bay students wrote the multimedia show, which they debuted at their school in mid-May, and will be rewriting and refining it up until show time in the Scottish capital. The one-act show envisions the title character of “Alice in Wonderland” meeting five famous women scientists — fourth-century Greek mathematician Hypatia; Marie Curie, who did pioneering work on radioactivity in the 19th century; Hollywood star Hedy Lamarr, who was an inventor in the field of wireless communications; English chemist Rosalind Franklin; and American astronomer Vera Rubin. The concept came from Dylan Russell, the chair of visual and performing arts at Jewish Community High School and also the play’s director. 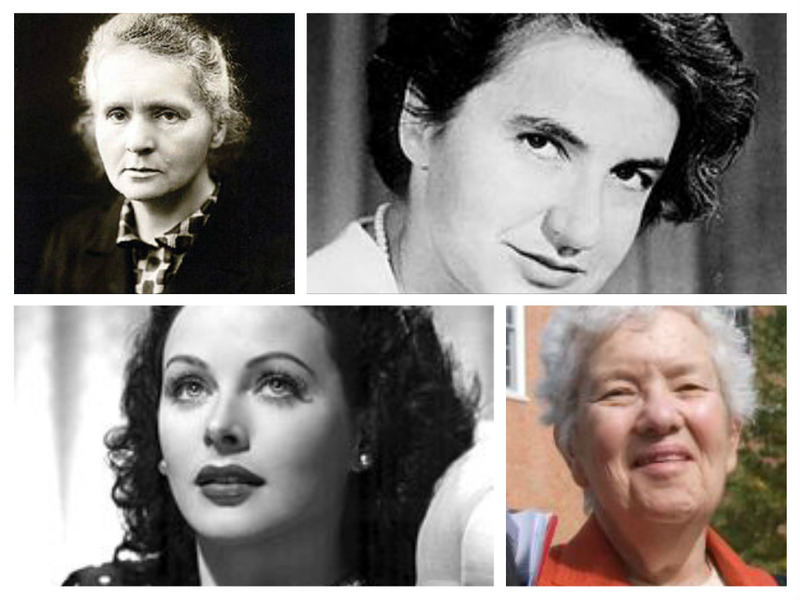 She had wanted for years to create a work about women scientists whose inventions or other contributions had not been appreciated. She chose author Lewis Carroll’s Alice as her protagonist because the young girl persists despite being questioned and discouraged. The students began writing the show last winter, using books on the scientists and Carroll’s classic as sources. Some of the script was devised during improvisational sessions. “The surprising part of it was there wasn’t a lot of actual writing, a lot of it came from experimentation that ended up in the script,” said Ben Robinow, 16, who will be a junior at JCHS this year and hopes to go into forensic science someday. As they developed the play, the students decided to create two Alices — one from the present day and another from Carroll’s 19th-century England — who meet up and encounter the women scientists after an explosion creates multiple universes. The JCHS students designed it with the Edinburgh Festival in mind; for example, they are using projections instead of elaborate backdrops. When it was performed in May, the spartan stage included six chairs, two benches, a trunk and three ladders. “We tried to make the sets as simple as possible, knowing we would be taking them to Scotland,” said Marty Cohen, 16, a rising junior who enjoys acting but hopes for a career in an NBA front office. The show has undergone constant rewriting and refinement, especially after the students got feedback from their May performance. More changes were needed after one of the actresses who plays Alice was unable to make the trip, and when the students found out how small the stage in Scotland would be. They expect to be doing more rewrites after their first rehearsal in Edinburgh. The students will have access to kosher food throughout their U.K. journey, though Robinow said he definitely plans to go off script.